Keith Allen’s “Unlawful Killing” To Screen In Cannes May 13. 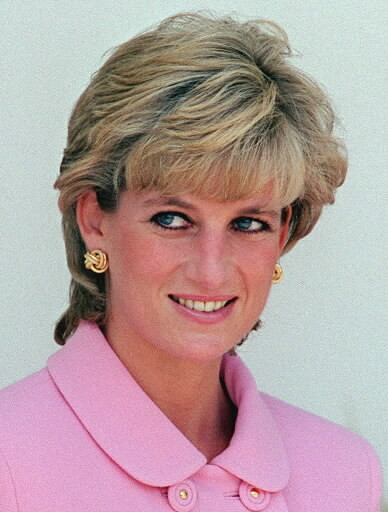 LONDON, 9TH MAY, 2011: Three years in the making, UNLAWFUL KILLING – a searing exploration into the violent death of Princess Diana and the alleged subsequent cover-up by the British Establishment – will make its Festival debut at Cannes, the world’s leading film festival. Acclaimed British actor and filmmaker Keith Allen (KEITH MEETS KEITH, ROBIN HOOD, SHALLOW GRAVE, TRAINSPOTTING, THE COMIC STRIP PRESENTS…..) has today announced his plans to screen his directorial feature-documentary debut at the celebrated film market and festival. The film premieres in what would have been Diana’s 50th birthday year and just as Prince William, Diana’s beloved first son and future King, embarks on married life under the watchful glare of the world’s media. This potentially controversial documentary – set to screen on Friday 13th May in Cannes – mixes candid interviews with recreations of some of the key moments from the official inquest, shockingly not held until a decade after the event. The questions the film asks, as it seeks to uncover the truth about the world’s most famous car crash, will inevitably shake the public’s perceptions of how Diana and her partner Dodi Fayed died – and where responsibility ultimately lies for this apparent Establishment cover-up perpetrated by “Dark Forces”. Locomotive Distribution’s Colleen Seldin will handle worldwide sales efforts for UNLAWFUL KILLING, which will commence in Cannes and will be supported by the attendance of the filmmakers. With today’s announcement, the filmmakers are simultaneously launching first-look materials globally – most notably the first official trailer for UNLAWFUL KILLING. In addition, three clips are available for download, as well as a selection of stills and artwork, all of which can be accessed at www.unlawfulkilling.com. UNLAWFUL KILLING has an original score by Dave Stewart and guest contributors include Tony Curtis, Howard Stern, Kitty Kelley, Mohamed Al Fayed, Piers Morgan and Michael Mansfield QC, amongst others. Unlawful Killing was finished on 9 March 2011, after three years of research and production, culminating (after a decade of delay) in an Inquest held at the Royal Courts of Justice in London. Keith Allen (father of Lily Allen) was at the centre of the inquest, covertly observing proceedings in the courtroom and amongst the press. His groundbreaking documentary recreates key moments from the inquest, and demonstrates how the cover-up was perpetrated. It shows how vital evidence of foul play was hidden from public scrutiny, how the royal family was exempted from giving evidence, and how journalists, particularly those working for the British media, systematically misreported what was happening. This is not about a conspiracy before the crash, but about a provable cover-up after the crash.